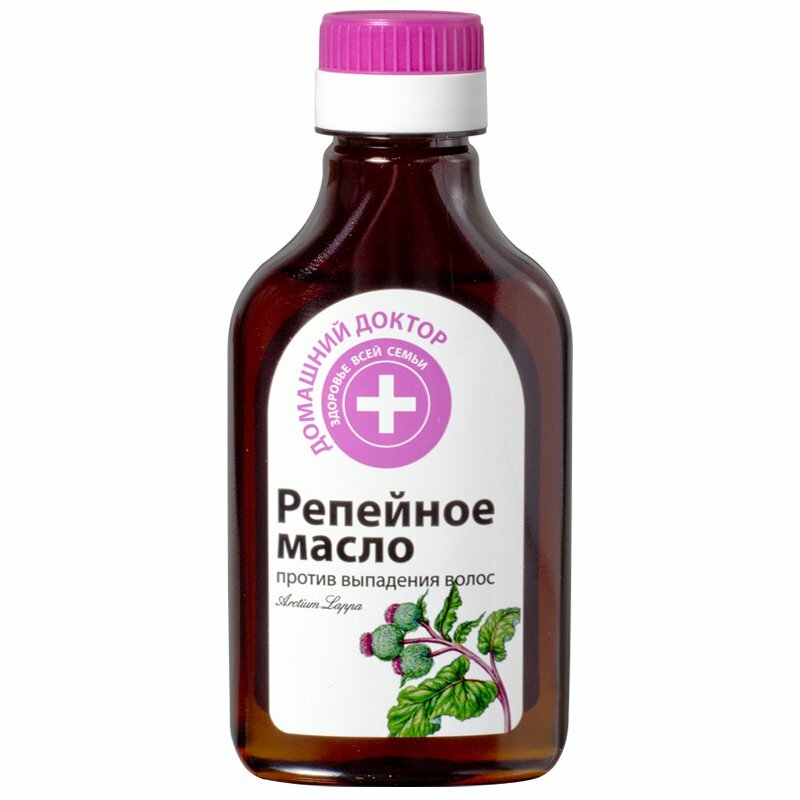 Anti-hair loss burdock oil is a natural hair remedy produced by the Ukrainian beauty brand Home Doctor. The product has a pronounced strengthening effect due to a unique technology used to produce burdock oil. This technology allows to preserve all biologically active substances contained in burdock root. Burdock oil is known as one of the best herbal remedies for hair strengthening and repair. Originally, it was obtained by soaking burdock root in vegetable oil. Sadly, this method does not allow to extract all useful substances. Home Doctor burdock oil is formulated with the so-called SC-CO2 burdock root extract which allows to preserve all useful substances contained in burdock root. Burdock oil penetrates deep into the scalp and helps to restore normal skin cell metabolism. As a result, it improves the nourishment of hair roots, strengthens hair follicles and stimulates active hair growth. Regular use of this oil helps to reduce hair loss, makes your hair strong and healthy. Directions. Heat the oil a little and apply onto hair roots. Cover your hair with a shower cap (optional). Leave for 20 to 30 minutes. Thoroughly wash your hair with shampoo. Repeat the procedure 1-2 times a week. Ingredients. Vegetable Oil, SC-СО2-extract Arctium Lappa (Burdock), BHT. Want to buy Anti-Hair Loss Burdock Oil? Call us or submit your order via our web site! Home Doctor is a cosmetic brand manufactured by the Ukrainian and Polish group of companies Elfa. Its products are well-known both in Ukraine and its neighbouring countries. Home Doctor cosmetic series includes a wide range of hair and skin care products designed for all family members – children, adults and the older generation. All products are formulated with safe and environmentally friendly natural ingredients. Today Elfa is one of Ukraine’s largest manufacturers of cosmetic and household products. The history of this corporate group began in 1997 when ZAO (JSC) Elfa was officially opened. At first, the company was very small and specialised in the distribution of cosmetic products, not producing anything. However, over the following years it experienced significant growth and expansion. Elfa opened its own production facilities, established partnership with European companies, built a network of regional and international offices. Not only does it produce numerous beauty products under a variety of brands, it carries out scientific research to constantly improve their quality and safety. Home Doctor is one of Elfa’s most popular brands which embodies one of the company’s main aspirations – to produce high-quality cosmetics according to strict pharmaceutical standards which is affordable to a wide range of consumers regardless of their level of income. The brand offers effective skin and hair care products formulated with natural raw materials to suit any taste and budget inducing (but not limited to) hand, face and body creams, liquid and bar soaps, lip balms, shampoos, face cleansers and toners, hand creams, and many more.